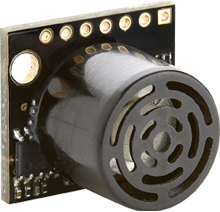 Below we have a tutorial to help you get started with the MaxBotix MB1013 ultrasonic sensor! 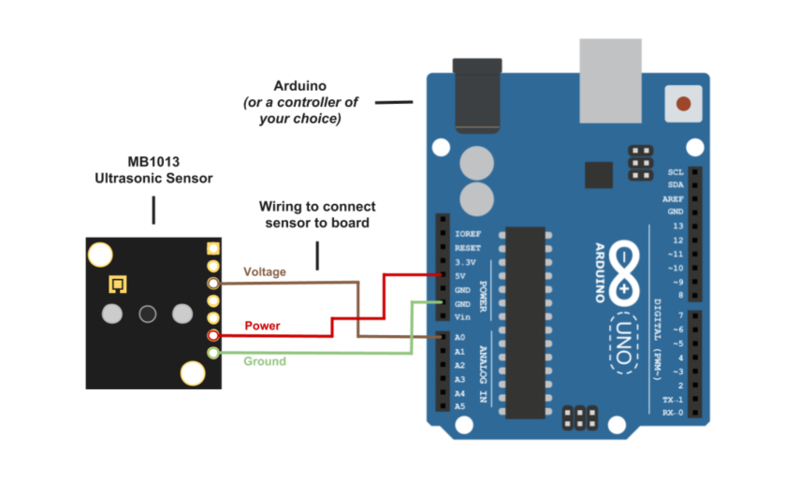 This will hopefully give you a basic understanding of how ultrasonic sensors work and will help you set up your ultrasonic sensor to read analog voltage. Take a look at this sensor’s data sheet for more information on the sensor’s specs! Using sound, the ultrasonic rangefinder measures distance for you. 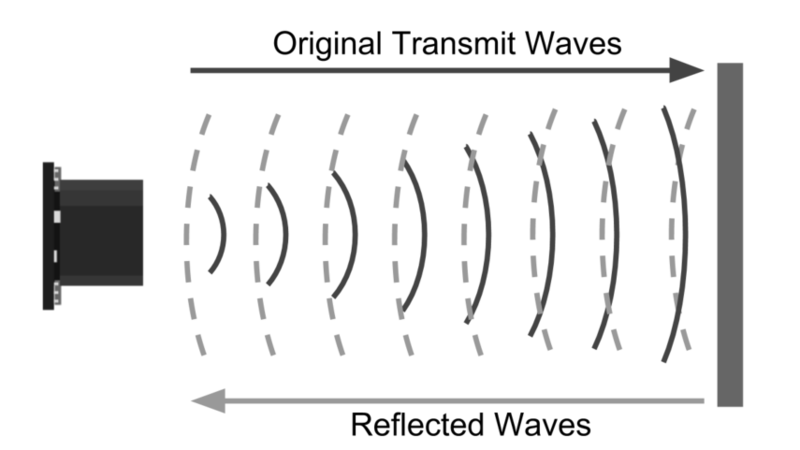 The diagram below shows how the sensor sends and receives the sound waves. It measures the distance using the time it takes for the sound wave to leave, reflect off of a surface or object, and travel back to the sensor. We used an Arduino in this example, but you can use another controller and program of your choice. Install Arduino Sketch coding software onto your PC. This is where you type the code you want to compile and send to the Arduino board. Plug your Arduino into the USB cable and into your computer. Once you upload Arduino, you can then compile and activate the code. How can you use this information? Glad you asked! There are quite a few applications in which this becomes very useful. One, distance to objects data is extremely useful for the autonomous section of the contest. Your robot can actually use the distance when navigating to help avoid objects. 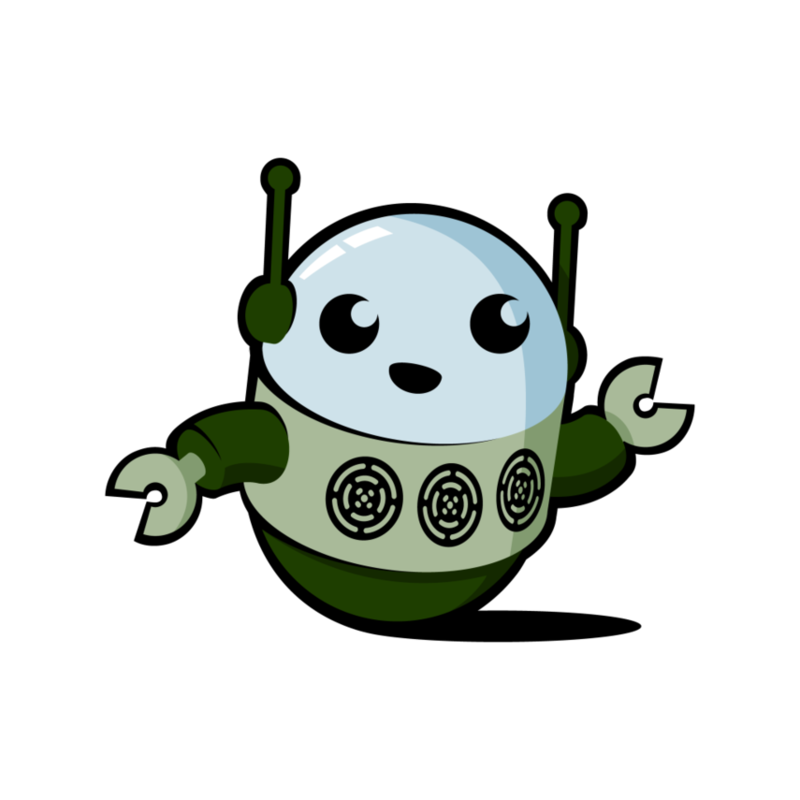 Another use is if you need to perform an action when your robot is a certain distance from an object. You can use the information to make the robot perform better and much more quickly even during the remote-controlled section of the contest. Also, as good as Lidar sensors are, only ultrasonic sensors can reliably detect certain surfaces such as glass. Transparency and color of objects have no effect on if an ultrasonic sensor can see an object. This is especially useful if you don’t know what kind of environment your robot will be operating in. If you find yourself in need of more information about the MaxSonar sensor and your project, we at MaxBotix are more than happy to help you. Please call us at (218)454-0766 or email our technical support team at techsupport@maxbotix.com.